Central San is required to meet dozens of stringent water quality regulations. We operate a laboratory that constantly monitors the wastewater as it undergoes treatment and after it is thoroughly cleaned and disinfected. The lab uses high tech equipment capable of detecting some pollutants to the parts per quadrillion. 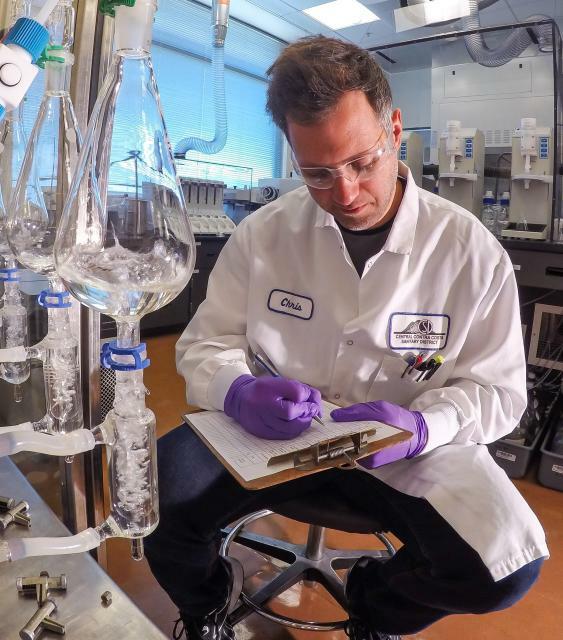 Thousands of tests are conducted each month to identify a variety of wastewater constituents, including metals, toxic organic compounds, and pathogens. Our treatment plant is not designed to remove most toxic materials, and when these pollutants enter the plant — in significant amounts — they are capable of disrupting the treatment process and eventually end up in Suisun Bay. Our Source Control Program aims to prevent toxics from entering the collection system in the first place.